This big-daddy, deluxe kite pump makes inflating even your 17m kite a breeze. 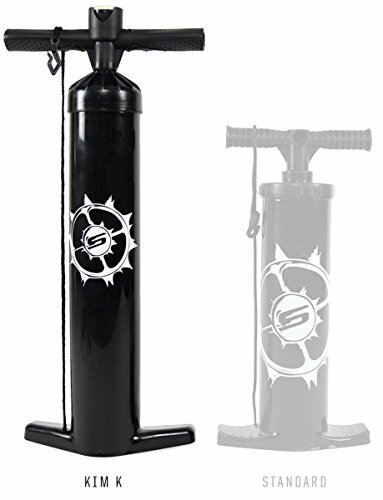 It’s larger, taller, sturdier and has more volume than the traditional kite pump. Newly engineered seals and pistons combined with newly molded handle and feet offer improved ergonomics and inflation speed. Single- to double-stroke inflation switch allows for instant change from high-volume / low-pressure inflation to low-volume / high-pressure.